Guest Post: What's your heatwave plan? Heatwaves are Australia’s deadliest natural hazard, but a recent survey has found that many vulnerable people do not have plans to cope with extreme heat. We found that 45% of those at risk – including the elderly, ill and very young – did not proactively respond to heatwave warnings as they did not think it necessary or did not know what to do. Few at-risk people reported moving to cooler locations, and more than 20% of people in Western Sydney were concerned about the impacts of energy prices on their ability to use air-conditioning. For most people, extreme heat left them feeling hot and uncomfortable or unable to sleep, though around 15% felt unwell. Few people reported checking on vulnerable family members, friends or family during heatwaves. Businesses also suffered disruption, and most companies with employees working on machinery or outdoors reported lower than normal productivity. Many people said that they didn’t need to take any further actions to adjust to future extreme temperatures. However, for some extreme heat is already impacting their living preferences, with around 10% of people indicating that they are considering moving to a cooler town or suburb. Are heatwaves 'worsening' and have 'hot days' doubled in Australia in the last 50 years? The death rate is the number of deaths per head of population in the country at that time, and was consistently, significantly higher between 1890 and 1939 than for any period before or since. An extraordinary heatwave occurred between October 1895 to January 1896 that impacted nearly the entire continent but especially the interior. PerilAUS records 435 deaths, 89% of them within New South Wales. Deaths also occurred in South Australia, Western Australia, Victoria and Queensland. Bourke, in NSW, lost 1.6% of its population to the heat: temperatures of 40℃ in the shade were already being recorded in October, mid-spring. During the disastrous 1939 Black Friday bushfires, 71 people died in Victoria. But at least 420 people died in the heatwaves which preceded the fires, largely in New South Wales. The heatwaves were accompanied by strong northerly winds and followed a very dry six months, increasing the severity of the subsequent fires. Most will remember the catastrophic bushfires that destroyed several towns in Victoria in 2009 but not many will remember that these fires also followed two heatwave events across Victoria and South Australia, where at least 432 people died. In 2009, new records of three consecutive days over 43℃ in Melbourne and eight over 40℃ in Adelaide were set. A feature of these heatwaves was the very hot minimum temperatures, with Melbourne’s temperature falling to between 20-25℃ overnight and Adelaide to just 30℃. There is no reason why a deadly heatwave could not strike Australia again this summer, and there’s at least some evidence that the frequency of heatwaves in Australia is increasing. Sudden peaks in air-conditioning use also creates the risk of overloading electricity grids and prompting blackouts, so it’s important to think about how you can stay cool without power. Some easy ways to stay safe include tuning into heatwave and emergency warnings by listening to radio broadcasts or searching emergency websites. Simple measures, like rescheduling outdoor activities to cooler parts of the day, closing curtains and blinds and staying indoors are always sensible. Research suggests that elderly people may be particularly reluctant to use air conditioners, but if your household contains vulnerable people it’s important to use every cooling option available. It may be possible for some people to use an app or timer to turn on their air conditioners during the afternoon to cool their house, then turn it off after 6pm to avoid contributing to peak demand. If you have friends or family who are elderly, sick or very young, make sure to check in on them. Consider selecting a cooler place, like a shopping centre or library, you can visit during peak temperatures. Make a plan for pets and animals, particularly those who will be left outside during the day while the household is at work or school. Ensure they have shade and access to plenty of water. On a larger scale, better urban planning and house design – and even planting shade trees near houses – are needed. 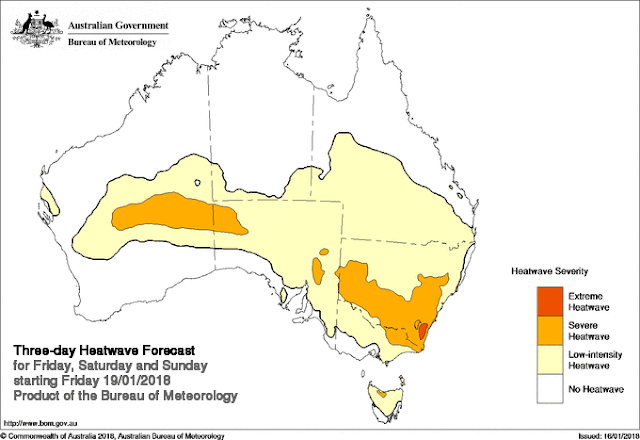 Unfortunately, deadly heatwaves are part of Australia’s summer, and it’s likely they will worsen under climate change. Planning ahead can literally be a life saver.